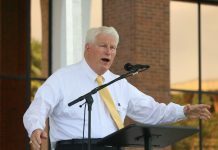 The president of Florida’s First Amendment Foundation is reacting to transparency concerns raised in a Knight News report over how UCF handled public records requests leading up to interviews with presidential candidates, which began today. 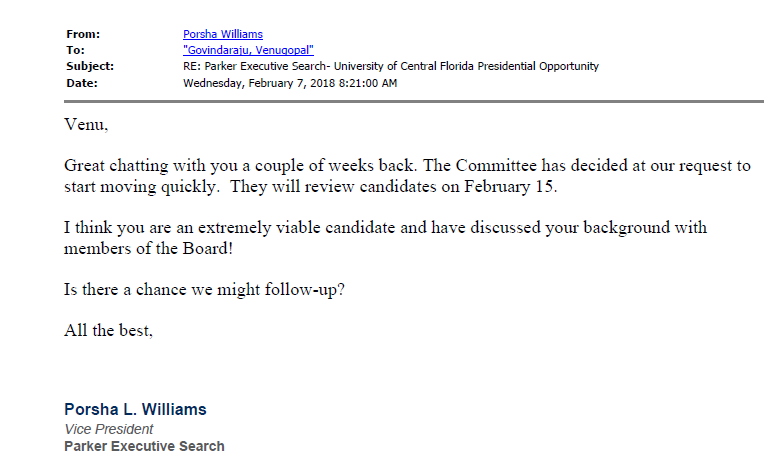 However, because Florida’s Public Record Law doesn’t require government agencies to fulfill requests for documents that don’t exist at the time of the request, FAF President Barbara Petersen said she doesn’t think UCF violated the records law “simply because it didn’t fulfill its promise to provide Knight News with all of the materials received” prospectively. 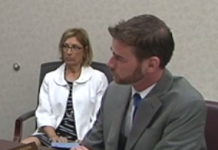 “Having said that, though, the university made a promise that you relied on and then didn’t fulfill the promise. That stinks,” Petersen added. 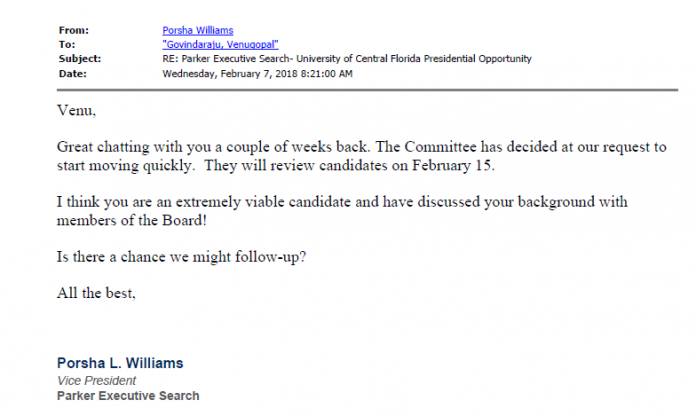 Throughout UCF’s search process, Laurie Wilder with Parker Executive Search has repeatedly pointed to Florida’s open government laws as the reason why candidates wait until the last minute to apply. UCF has not explained when that discussion took place, or, more importantly, how such a discussion complied with Florida’s open meeting laws, known as Florida’s Sunshine Law. The final 4 candidates will be interviewed Friday starting at 8:30 A.M..